Being in a foreign country, especially when you have a minimal grasp of the language, is both exciting and exhausting. Travelling on a budget means that we pretty much never hire a tour guide, and we always go for the public transportation options. 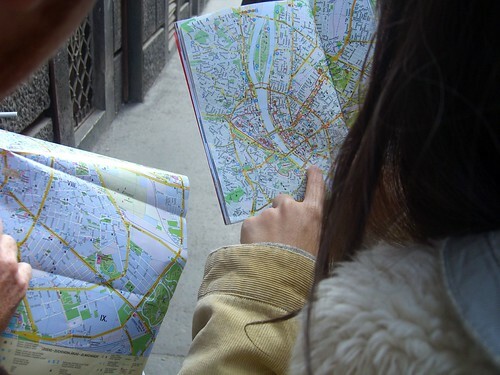 Guidebooks are okay for getting a general idea of how to get around using public transport or our own two feet, but often the book falls far short of any real help. Once in Valdivia, Chile we knew that we could get to a small park reserve by bus, but we just weren’t sure of the times, or where to catch it. We asked our hostel, who told us a bus number that was totally incorrect. We asked the tourist information office. Twice. They gave us the correct bus name, but couldn’t be specific about where it stopped. We asked 7 different people who worked in the general area and they all pointed us in different directions. FINALLY, the next day, we found the bus stop and, surprise surprise, it wasn’t anywhere near any of the places we’d been directed to. Once we were on the bus we asked about specific return times since the reserve was nearly 50 kilometers outside of town. We were told there were two return times – 2pm and 5pm. As the reserve was the last stop, the driver assured us that this is where we needed to be to get picked up. We were at the stop at 1:30pm, just to be safe. We waited. And waited. And waited. Finally, at 3, we started walking. At 4:30 we managed to hitch a ride with a very nice couple who spoke zero English and didn’t seem to understand our Spanish very well. 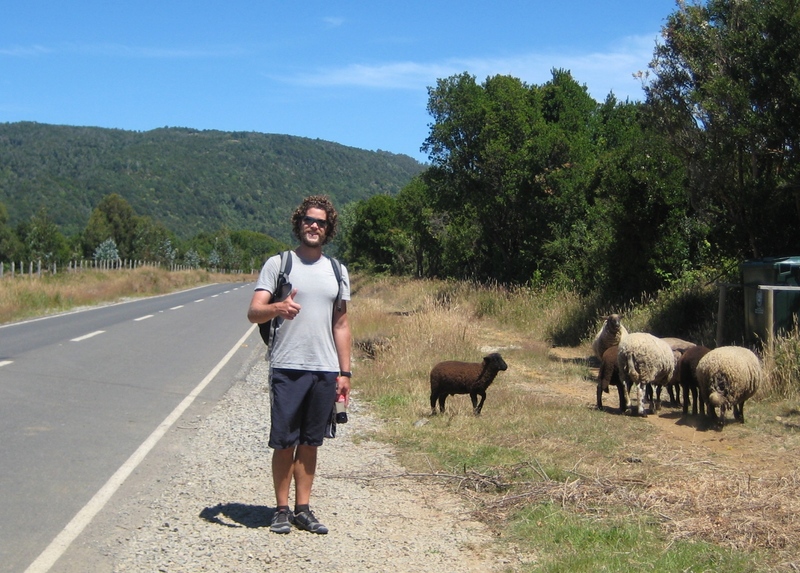 Justin attempts to get us a ride on the long walk back to Valdivia…we had seen nothing but these sheep for 45 minutes. Thankfully, they were able to drop us reasonably close to a town that had another bus that could take us back to Valdivia. It was an adventure, to say the least. My point is, sometimes getting around can be tough. Every once in a while though, we encounter a stranger who helps us avoid yet another fiasco. Today we were attempting to get to one of Istanbul’s oldest Byzantine churches, which is a bit off the regular tourist circuit. We knew we could take a bus, but the place we had to get on was riddled with buses and we had not a clue which one we needed. After asking about 7 different drivers, all of which just waved us towards the general direction of another dozen buses, we were approached by a man who asked (in English!) if we needed help. We told him where we were going, and as luck would have it, he was also going that way. Then we realized we couldn’t pay the fare in cash, we needed some sort of metro card, which we didn’t have. The man paid our way with his own card and refused our multiple attempts at paying him back. He then rode with us to our stop, got off with us, and led us for the 20 minute walk through winding streets to this little church. There is no way we would have found this place on our own. The whole time he’s helping us I was thinking, “What does he want? Is he going to charge us something for this? Is he really dragging us to a carpet shop to try and sell us something?” but no, he was just really nice. After getting us to the church he wished us a happy day and went on his way. Every once in a while we are reminded that in this huge and crazy world there are genuinely kind people, and we are very thankful that we encountered one of them today.